very high seasonal energy efficiency – saving you material, time and work during installation. Extend your lead! Featuring an overhauled and even more efficient compressor, a reimagined refrigerant flow and a variety of additional design ideas, the new City Multi VRF outdoor units achieve up to 33% higher SEER and SCOP values – meeting the requirements of the 2021 ErP Directive today. This offers a major lead in terms of seasonal energy efficiency. 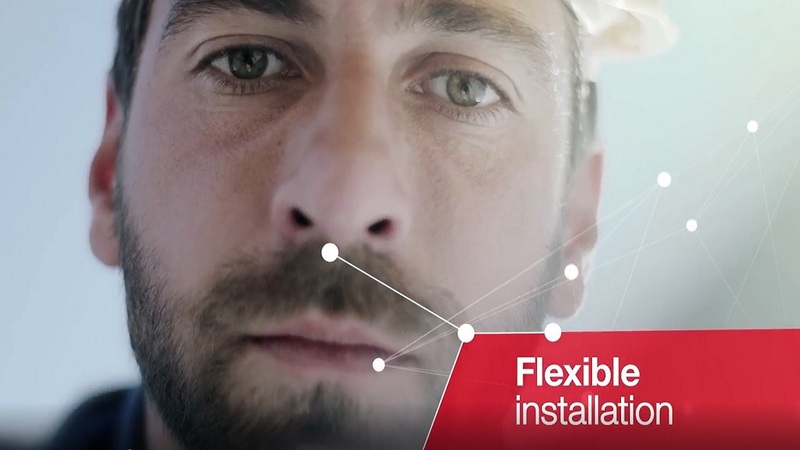 Far fewer pipelines in the R2 system with up to 11 sub-controllers and refrigerant fill quantity reduced by up to 30%: this ensures major benefits in procurement, cost reduction, building certification and on-site installation. Twin lead for efficient operations. Exclusive to Mitsubishi Electric: the outstandingly efficient aluminium flat pipe heat exchangers from the City Multi EP series enable up to 30% more efficient heat transfer compared with round pipe heat exchangers. We have now positioned these on all four sides and in the upper section of the outdoor unit, ensuring far more efficient airflow and a lower refrigerant fill quantity. All values and percentage-based improvements are stated in comparison with the previous series. The units contain the fluorinated greenhouse gas R410A. 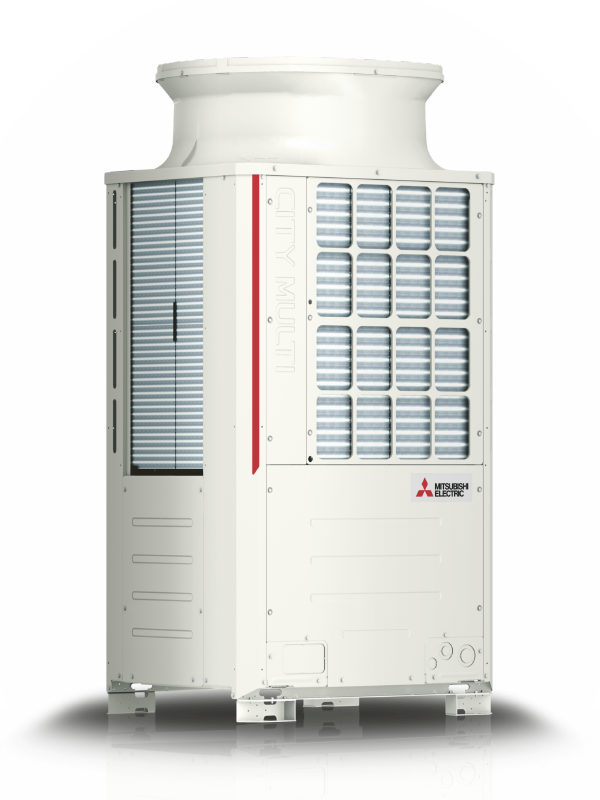 Ask for an appointment where we show you the benefits of the new City Multi VRF system. Alternatively request product information send to you via mail. I consent to the use of my email address and my personal data above by Mitsubishi Electric to send me information by email in the future about products, services and offers. I can revoke this consent at any time. Mitsubishi Electric LES provides specialist knowledge for shared success: listening and understanding. Developing intelligent products. Providing skilled advice. Discovering trends. Shaping the future. Turning expertise into solutions. That’s what ‘Knowledge at Work’ means to us.